This time, at least, no canaries died. Four birds, necks broken, had been dumped at the doorway of a lawyer entangled in the scandal so outrageous [the investigation] was supposed to put an end to abuses by Florida's utilities and their minions on the Public Service Commission. Apparently, the birdies died for naught. Twenty years later, Rep. Carlos Lopez Cantera, R-Miami, echoed sentiments voiced by his predecessors in 1989. "The last few weeks have revealed a culture at the PSC that needs to be disinfected." Lopez, in the interest of accuracy, should have said, "The last few decades . . . "
The 2009 version came with a few high-tech twists -- PSC staffers and commission members texted utility lobbyists to circumvent Florida's open records laws -- along with the usual unseemly partying and high living paid for by the influence peddlers. The 1989 scandal, by comparison, unfolded like a John Grisham novel. With ruthless rivals struggling over control of Gulf Power. With payoffs, kickbacks, embezzlements, illegal political meddling. With the sudden disappearance of a key witness, two execution-style murders and a mysterious plane crash. All the while PSC members and state legislators wallowed like pigs amid the goodies provided by utility lobbyists. All this and a succession of dead birds laid at the front door of former Gulf Power lawyer Fred Levin. It was, Levin said, a not-very-subtle warning: see what happens to canaries who sing to federal investigators. Levin had been a friend and confidant of Jake Horton, the senior vice president of Pensacola-based Gulf Power Co., who took off in a company jet in April 1989 headed for a corporate showdown with his bosses. Horton had been picked as the company fall guy as federal investigators looked into allegations of tax fraud, bribery, illegal campaign contributions and other illicit practices by the northwest Florida electric provider. In January 1989, a former Gulf Power board member, Robert McCrae and his wife Kathryn, were murdered in their home, a mob-style hit, each with a single bullet to the head. Unlike Grisham's work, the Gulf Power mysteries were never solved. Investigators never established why the plane crashed. (The utility blamed Horton, claiming he took it down in a fiery suicide.) Levin charged that Gulf Power scapegoated Horton for the company's legal and ethical transgressions. The McCrae murders were never solved. 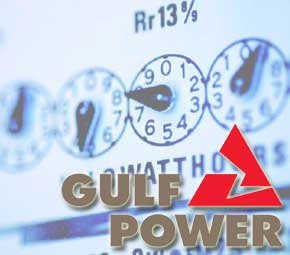 Gulf Power survived the federal investigation with a $500,000 fine for illegal campaign contributions. The dark doings at Gulf Power and other scandals dogging the ever-oblivious PSC brought eight crucial recommendations from a statewide grand jury in 1993. Seven were ignored. The 2009 scandal serves to remind us of that long-festering failure. At least, no canaries were killed.